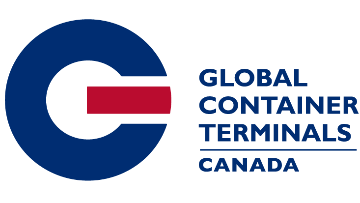 GCT Canada is the largest terminal operator and maritime employer in the country. We are the major entry point for international trade in Canada, totaling over $2 billion in economic output each year. Operating on the West Coast for over a hundred years, with the support of our people, we played a major role in the development of the Asia Pacific Gateway. We offer rewarding opportunities for team-oriented individuals who thrive in a fast-paced environment that are accountable, innovative, and driven to achieve challenging goals. We have an opportunity for a Facilities Superintendent at our Deltaport or Vanterm terminal. Reporting to the Manager, Facilities, the Facilities Superintendent will manage projects as well as lead daily activities related to civil infrastructure and industrial equipment. The ideal candidate must be able to organize and prioritize multiple tasks, effectively manage stressful situations, and consistently make effective, high quality decisions. Competencies for this position are typically acquired through the completion of an Engineering degree preferably in civil or mechanical engineering from a recognized post-secondary institution, as well as a minimum of five years progressive experience in the project management of civil infrastructure and/or industrial equipment or an equivalent combination of education and experience. Model the Way – Leaders find their voice by clarifying their personal values and expressing them in a style that is authentically their own, and they set the example by aligning actions with shared values. Inspire a Shared Vision – Leaders envision the future by imagining exciting and ennobling possibilities and enlisting others in a common vision by appealing to shared aspirations. Challenge the Process – Leaders search for opportunities by seeking innovative ways to change, grow, and improve. They also experiment and take risks by constantly generating small wins and learning from mistakes. Enable Others to Act – Leaders foster collaboration by promoting cooperative goals and building trust. They strengthen others by sharing power and discretion. Encourage the Heart – Leaders recognize contributions by showing appreciation for individual excellence. They also celebrate values and victories by creating spirit of community. To take your career where tomorrow arrives today, visit our website for a more detailed job description: http://globalterminalscanada.com/content/careers. Click on Career Opportunities and apply online.